I have to say I am quite surprised by the addition to the label! Raf and team have enough on their plate with this umbrella of a brand to work with that adding yet another line wasn't something I saw coming. But I think it a great way to bring his past experience of couture to a label known for its minimalist sportswear regardless of how viable it will be. I mean it's not like CK is hurting for cash so they might as well bring forward a made-to-measure line that was before exclusive to red carpet starlets. Aside from that it's interesting to see how Raf reinvents Americana in this 14 look collection, each representing a decade in American woman's fashion from the 20-00 reinvented. 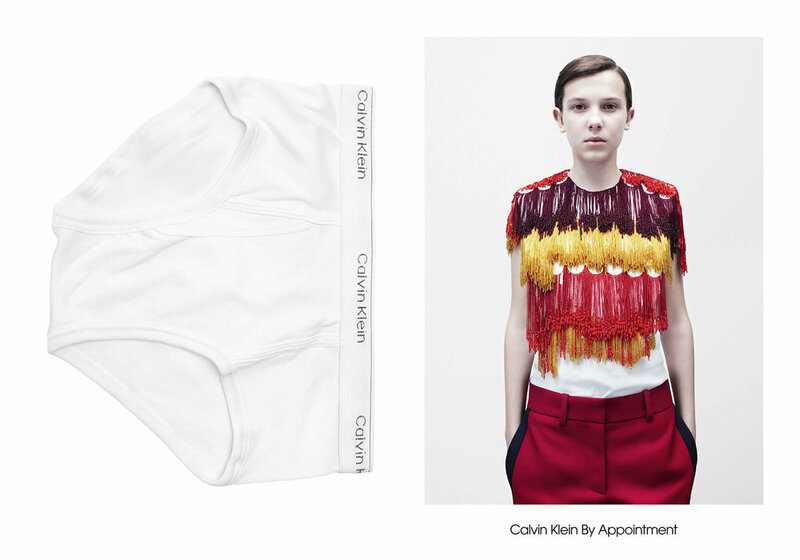 The ad images are a tongue in cheek view of what CK has to offer from it's money maker underwear to the new high-end one of a kind pieces. It also give us an idea of what to expect from the direction Raf will lead future campaigns and the clothes we will all be lining up to buy.